Coromandel is a town on the Coromandel Harbour, on the western side of the Coromandel Peninsula, which is on the east coast of the North Island of New Zealand. 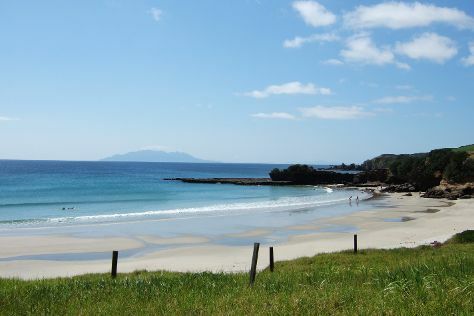 Family-friendly places like Tawharanui Regional Park and The Waterworks will thrill your kids. Explore Coromandel's surroundings by going to Shakespear Regional Park (in Whangaparaoa) and Snowplanet (in Silverdale). And it doesn't end there: stroll through Whangapoua Beach, look for gifts at The Coromandel Smoking Co., make a trip to The 309 Road, and hike along Kauri Block Track. To see other places to visit, reviews, more things to do, and more tourist information, read our Coromandel driving holiday planner. Wellington to Coromandel is an approximately 5-hour flight. You can also drive. Expect a daytime high around 24°C in December, and nighttime lows around 17°C. Finish your sightseeing early on the 23rd (Sun) to allow enough time to travel to Whitianga. Whitianga is a town on the Coromandel Peninsula, in the Waikato Region of New Zealand's North Island. On the 24th (Mon), tour the pleasant surroundings at Hahei Beach Walk, then trek along Cathedral Cove Walk, then go for a walk through Shakespeare Cliff Scenic and Historic Reserve, and finally witness a stunning natural landmark at Hot Water Beach. On your second day here, look for all kinds of wild species at Mill Creek Bird & Animal Encounters, experience rural life at Whiti Farm Park, and then take in the natural beauty of The Lost Spring. For more things to do, reviews, where to stay, and tourist information, go to the Whitianga driving holiday planning tool . Drive from Coromandel to Whitianga in an hour. In December, daytime highs in Whitianga are 24°C, while nighttime lows are 17°C. 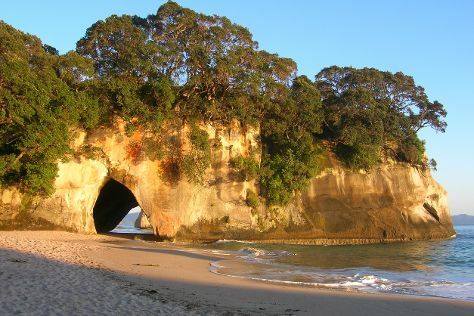 Cap off your sightseeing on the 25th (Tue) early enough to travel to Whangamata. The town of Whangamatā is sited on the southeast coast of the Coromandel Peninsula in the North Island of New Zealand. Start off your visit on the 26th (Wed): admire the verdant scenery at Wentworth Valley, then explore the galleries of The Little Gallery Whangamata, and then enjoy the sand and surf at Whangamata Beach. On the next day, take your sightseeing to a higher altitude at Mount Paku, then view the masterpieces at The Little Gallery, and then trek along Karangahake Gorge Historic Walkway. For photos, more things to do, other places to visit, and more tourist information, read Whangamata trip itinerary planner . Getting from Whitianga to Whangamata by car takes about 1.5 hours. 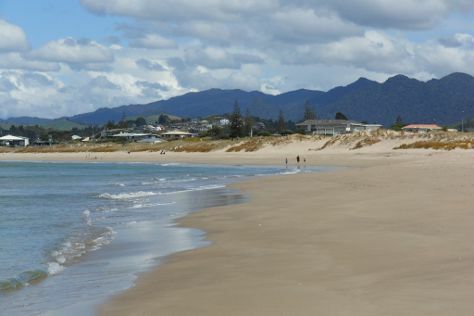 December in Whangamata sees daily highs of 25°C and lows of 17°C at night. Finish your sightseeing early on the 27th (Thu) to allow enough time to travel back home.